The post How the Small Business Administration became a leader in evidence-based decision making: An interview with Jason Bossie, Director, Office of Performance Management, SBA – Episode #169 appeared first on Gov Innovator podcast. The post How Oregon’s auto-enrollment IRA program, OregonSaves, helps state residents save for retirement: An interview with Lisa Massena, Executive Director, OregonSaves – Episode #168 appeared first on Gov Innovator podcast. The post Two promising strategies to promote college success for disadvantaged students: An interview with Lindsay Page, University of Pittsburgh, and Michael Weiss, MDRC – Episode #167 appeared first on Gov Innovator podcast. The post How HHS’s Data Science CoLab catalyzes employee innovation: An interview with Will Yang, CoLab Director, U.S. Department of Health and Human Services – Episode #166 appeared first on Gov Innovator podcast. The post Wins for data and evidence-based policy in the bipartisan budget deal: An interview with Nick Hart, Bipartisan Policy Center – Episode #165 appeared first on Gov Innovator podcast. 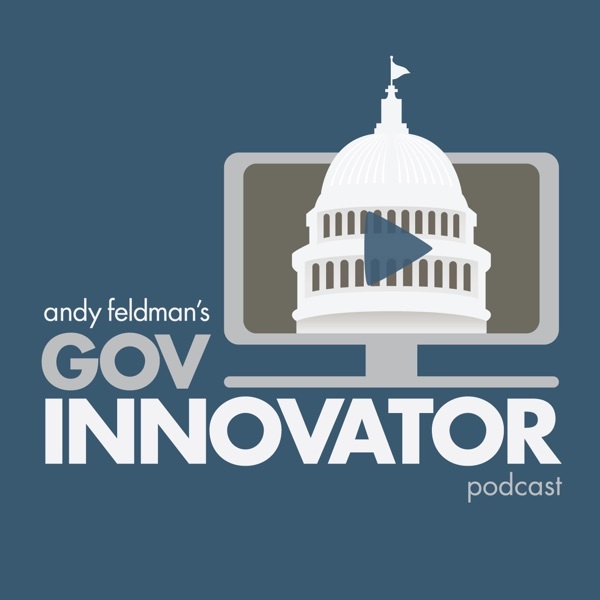 The post Why evaluation policies are useful to results-focused federal agencies: An interview with Naomi Goldstein, HHS, and Molly Irwin, DOL – Episode #164 appeared first on Gov Innovator podcast. The post How program managers can use random assignment (i.e., a lottery) to build evidence that can improve customer service: An interview with Matthew Notowidigdo, Northwestern University – Episode #163 appeared first on Gov Innovator podcast. The post Reforming the federal Experimental Sites initiative to better learn what works in higher ed: An interview with Amy Laitinen and Clare McCann, New America – Episode #162 appeared first on Gov Innovator podcast. The post Insights from a leading researcher-practitioner partnership, between Stanford University and San Francisco’s school district: An interview with Laura Wentworth, California Education Partners – Episode #161 appeared first on Gov Innovator podcast. The post A primer on the Commission on Evidence-Based Policymaking’s recommendations: An interview with Nick Hart, Bipartisan Policy Center – Episode #160 appeared first on Gov Innovator podcast. The post Strategies to sustain program impacts for children and adolescents: An interview with Greg Duncan, Professor, University of California, Irvine – Episode #159 appeared first on Gov Innovator podcast. The post The use of impact bonds around the world: An interview with Emily Gustafsson-Wright, Fellow, Center for Universal Education, The Brookings Institution – Episode #158 appeared first on Gov Innovator podcast. The post How states can use ESSA to focus education spending on what works: An interview with Tom Kane, Professor, Harvard Graduate School of Education – Episode #157 appeared first on Gov Innovator podcast. The post Helping nonprofits build and use evidence through Project Evident: An interview with Kelly Fitzsimmons, Founder and Managing Director, Project Evident – Episode #156 appeared first on Gov Innovator podcast. The post How the Connecticut Green Bank is catalyzing green energy infrastructure: An interview with Bryan Garcia, President and CEO, CT Green Bank – Episode #155 appeared first on Gov Innovator podcast. The post Insights from C-Stat in Colorado at year 5: An interview with Reggie Bicha, Executive Director, Colorado Department of Human Services – Episode #154 appeared first on Gov Innovator podcast. The post Launching an applied research team within city government: An interview with David Yokum, Director, The Lab @ DC – Interview #153 appeared first on Gov Innovator podcast. The post How New Zealand links data from public data sets to address important policy challenges: An interview with Kelvin Watson, Deputy Chief Executive, Statistics New Zealand – Episode #152 appeared first on Gov Innovator podcast. The post Linking data to improve human services while working within privacy laws: An interview with Erin Dalton and Brian Bell, Allegheny County Department of Human Services – Episode #151 appeared first on Gov Innovator podcast. The post Four fundamental principles of evidence-based policy and practice, drawing from U.S. and European experience: An interview with Howard White, Executive Director, Campbell Collaboration – Episode #150 appeared first on Gov Innovator podcast. The post The opportunities and pitfalls of government reorganization: An interview with Bob Behn, Professor, Harvard Kennedy School – Episode #149 appeared first on Gov Innovator podcast. The post An overview of Performance Partnership Pilots for Disconnected Youth, with lessons for other areas of social policy: An interview with Thaddeus Ferber, Vice President, Forum for Youth Investment – Episode #148 appeared first on Gov Innovator podcast. The post How the Rhode Island Innovative Policy Lab (RIIPL) works: An interview with Justine Hastings, Director, RIIPL – Episode #147 appeared first on Gov Innovator podcast. The post The importance of replication and validation in evidence-based policy: An interview with Tammy Chang, U.S. Treasury Department, and Nathaniel Higgins, formerly U.S. Social and Behavioral Sciences Team – Episode #146 appeared first on Gov Innovator podcast. The post How Massachusetts provides education policymakers with research insights: An interview with Carrie Conaway, Chief Strategy and Research Officer, Massachusetts Department of Elementary and Secondary Education – Episode #145 appeared first on Gov Innovator podcast. The post How Seattle used results-driven contracting to improve homeless services: An interview with Jason Johnson, Deputy Director, Human Services Department, City of Seattle – Episode #144 appeared first on Gov Innovator podcast. The post How states can optimize their pre-K programs: An interview with Greg Duncan, Professor, UC Irvine, and Member, Pre-Kindergarten Task Force – Episode #143 appeared first on Gov Innovator podcast. The post How states can use “efficacy networks” to test strategies for school improvement: An interview with Tom Kane, Professor, Harvard Graduate School of Education – Episode #142 appeared first on Gov Innovator podcast. The post Transforming the culture of procurement in state and local government: An interview with Jeffrey Liebman, Director, Harvard Kennedy School Government Performance Lab – Episode #141 appeared first on Gov Innovator podcast. The post Insights from the only Federal department with two Deputy Secretaries: An interview with Heather Higginbottom, former Deputy Secretary for Management and Resources, U.S. Department of State – Episode #140 appeared first on Gov Innovator podcast. The post Transforming support services in Federal agencies: An interview with Jeffrey Neal, Former Chief Human Capital Officer, Defense Logistics Agency and Department of Homeland Security – Episode #139 appeared first on Gov Innovator podcast. The post Creating a results-focused city government: An interview with Michael Nutter, former Mayor of Philadelphia – Episode #138 appeared first on Gov Innovator podcast. The post Making rigorous program evaluation easier with RCT-YES software: An interview with Peter Schochet, Fellow, Mathematica Policy Research – Episode #137 appeared first on Gov Innovator podcast. The post Lessons in applying behavioral insights to human services from the Behavioral Interventions to Advance Self-Sufficiency (BIAS) project: An interview with Lashawn Richburg-Hayes and Nadine Deshausay, MDRC – Episode #136 appeared first on Gov Innovator podcast. The post How states and localities are improving the quality of education, health, and human services through integrated data systems: An interview with Dennis Culhane, Professor, University of Pennsylvania – Episode #135 appeared first on Gov Innovator podcast. The post Why broadening access to Federal administrative data is critical for improving government services and increasing taxpayer value: An interview with Maria Cancian, Professor, University of Wisconsin-Madison – Episode #134 appeared first on Gov Innovator podcast. The post Test, learn and adapt – How public agencies can use researcher-practitioner partnerships to test low-cost, light-touch interventions: An interview with Adam Sacarny, Professor, Columbia University – Episode #133 appeared first on Gov Innovator podcast. The post How Utah became a leader in evidence-based policymaking: An interview with Kristen Cox, Director, Governor’s Office of Planning and Budget, and Jonathan Ball, Director, Utah Fiscal Analysts Office – Episode #132 appeared first on Gov Innovator podcast. The post How the State of Mississippi uses evidence-based budgeting to increase return on investment and improve program outcomes: An interview with Toby Barker, Mississippi State Representative – Episode #131 appeared first on Gov Innovator podcast. The post How the UK’s Education Endowment Foundation (EEF) is building rigorous evidence about how to close education achievement gaps: An interview with Sir Kevan Collins, Chief Executive, EEF – Episode #130 appeared first on Gov Innovator podcast. The post Transforming Federal grant programs from compliance driven to results focused: An interview with Robert Gordon, former Acting Deputy Director, White House Office of Management and Budget – Episode #129 appeared first on Gov Innovator podcast. The post Creating successful researcher-practitioner partnerships at the Federal level: An interview with Dayanand Manoli, Professor, University of Texas at Austin – Episode #128 appeared first on Gov Innovator podcast. The post Raising job quality and skills for American workers through more effective education and workforce development within states: An interview with Harry Holzer, Professor, Georgetown University – Episode #127 appeared first on Gov Innovator podcast. The post Using school-based health centers to address the health needs of low-income youth: An interview with Olga Acosta Price, Professor, The George Washington University – Episode #126 appeared first on Gov Innovator podcast. The post How one Federal agency, the Corporation for National and Community Service, strengthened the role of evidence in a key grant program, AmeriCorps: An interview with Diana Epstein and Carla Ganiel, CNCS – Episode #125 appeared first on Gov Innovator podcast. The post Twelve “better practices” that can help public leaders tackle key organizational challenges and boost results: An interview with Bob Behn, Professor, Harvard Kennedy School – Episode #124 appeared first on Gov Innovator podcast. The post How school districts can use rigorous program evaluation to test new education reforms: An interview with Matthew Lenard, Director, Data Strategy and Analytics, Wake County Public Schools – Episode #123 appeared first on Gov Innovator podcast. The post Determining if your program is having a positive impact (i.e., impact evaluation 101): An interview with David Evans, Senior Economist, The World Bank – Episode #122 appeared first on Gov Innovator podcast. The post Using intensive, individualized math tutoring to boost academic outcomes of disadvantaged youth: An interview with Jonathan Guryan, Professor, Northwestern University – Episode #121 appeared first on Gov Innovator podcast. The post Lessons from the nation’s first Social Impact Bond, aimed at reducing recidivism among adolescent offenders at Rikers Island: An interview with Gordon Berlin, President, MDRC – Episode #120 appeared first on Gov Innovator podcast. The post How the Institute of Education Sciences at the U.S. Dept. of Education is helping the education field to learn and do what works: An interview with Russ Whitehurst, Senior Fellow, The Brookings Institution – Episode #119 appeared first on Gov Innovator podcast. The post Milwaukee’s three-pronged strategy to reduce teen pregnancy: An interview with Bevan Baker, Commissioner of Health, City of Milwaukee, and Nicole Angresano, United Way of Greater Milwaukee – Episode #118 appeared first on Gov Innovator podcast. The post Three strategies to promote relevance in program evaluations so that findings are useful to policymakers and practitioners: An interview with Evan Weissman, Senior Associate, MDRC – Episode #117 appeared first on Gov Innovator podcast. The post Improving student outcomes by giving parents detailed information about their child’s academic progress: An interview with Peter Bergman, Professor, Teachers College, Columbia University – Episode #116 appeared first on Gov Innovator podcast. The post Las Vegas’s data-driven effort to improve traffic safety at its most dangerous intersections: An interview with Betsy Fretwell, City Manager, City of Las Vegas – Episode #115 appeared first on Gov Innovator podcast. The post Insights from the City of New Orleans’ analytics unit, NOLAlytics, about using data to improve city services: An interview with Oliver Wise, Director, Office of Performance and Accountability, City of New Orleans – Episode #114 appeared first on Gov Innovator podcast. The post Improving health outcomes of older adults while reducing costs through the nursing-led Transitional Care Model: An interview with Mary Naylor, Professor, University of Pennsylvania School of Nursing – Episode #113 appeared first on Gov Innovator podcast. The post Using randomized evaluations to address global poverty and other social policy challenges: An interview with Dean Karlan, Professor, Yale University, and President, Innovations for Poverty Action – Episode #112 appeared first on Gov Innovator podcast. The post Increasing diversity in the sciences through the Meyerhoff Scholars Program: An interview with Freeman Hrabowski, President, University of Maryland, Baltimore County – Episode #111 appeared first on Gov Innovator podcast. The post How Allegheny County’s Data Warehouse is improving human services through integrated data: An interview with Erin Dalton, Allegheny County Department of Human Services – Episode #110 appeared first on Gov Innovator podcast. The post How Philadelphia became a leader in the use of data and evidence: An interview with Maia Jachimowicz, V.P. for Evidence-Based Policy, Results for America, and former policy director to Mayor Michael Nutter – Episode #109 appeared first on Gov Innovator podcast. The post The first-year effects of Mexico’s soda tax: An interview with Barry Popkin, Professor, University of North Carolina at Chapel Hill School of Public Health – Episode #108 appeared first on Gov Innovator podcast. The post Using behavioral insights to design smarter school lunchrooms: An interview with David Just, Co-Director, Cornell Center for Behavioral Economics in Child Nutrition Programs – Episode #107 appeared first on Gov Innovator podcast. The post How Mexico took on the soda industry and won, passing a soda tax: An interview with Tina Rosenberg, New York Times and Solutions Journalism Network – Episode #106 appeared first on Gov Innovator podcast. The post Calling on states to close their youth prisons: An interview with Patrick McCarthy, President, Annie E. Casey Foundation – Episode #105 appeared first on Gov Innovator podcast. The post Doubling community college graduation rates through CUNY’s ASAP program: An interview with Donna Linderman, Dean for Student Success Initiatives, City University of New York – Episode #104 appeared first on Gov Innovator podcast. The post Colorado’s Family Planning Initiative: An interview with Larry Wolk, Executive Director, Colorado Department of Public Health and Environment – Episode #103 appeared first on Gov Innovator podcast. The post Using food banks to fight diabetes and promote health for vulnerable populations: An interview with Dr. Hilary Seligman, Professor, University of California, San Francisco – Episode #102 appeared first on Gov Innovator podcast. The post Colorado’s lean initiative in state government: An interview with Henry Sobanet, Director of the Office of State Planning and Budgeting, State of Colorado – Episode #101 appeared first on Gov Innovator podcast. The post A bold proposal to catalyze progress on key social policy challenges, the Ten Year Challenge: An interview with Jeffrey Liebman, Professor, Harvard Kennedy School – Episode #100 appeared first on Gov Innovator podcast. The post Reducing bullying in schools through a peer-based strategy: An interview with Betsy Levy Paluck, Professor, Princeton University – Episode #99 appeared first on Gov Innovator podcast. The post Applying behavioral insights through the EAST (Easy, Attractive, Social, Timely) framework: An interview with Simon Ruda, UK Behavioral Insights Team – Episode #98 appeared first on Gov Innovator podcast. The post How a small nonprofit in New Mexico achieves big good government wins: An interview with Fred Nathan, Executive Director, Think New Mexico – Episode #97 appeared first on Gov Innovator podcast. The post Improving the outcomes of disadvantaged youth by teaching them to be less automatic: An interview with Jens Ludwig, Director, University of Chicago Crime Lab – Episode #96 appeared first on Gov Innovator podcast. The post Using behavioral insights to improve government performance: An interview with Maya Shankar, Chair, White House Social and Behavioral Science Team – Episode #95 appeared first on Gov Innovator podcast. The post How to design performance measures to better measure impact: An interview with Peter Schochet, Senior Fellow, Mathematica Policy Research – Episode #94 appeared first on Gov Innovator podcast. The post Strengthening a culture of data-driven decision making: An interview with Carter Hewgley, Enterprise Analytics Division Director, FEMA – Episode #93 appeared first on Gov Innovator podcast. The post Connecting decision makers with high-quality research through the What Works Clearinghouse: An interview with Joy Lesnick of the Institute of Education Sciences, U.S. Department of Education – Episode #92 appeared first on Gov Innovator podcast. The post Setting HUD’s research agenda with input from the field through its Research Roadmap: An interview with Katherine O’Regan, Assistant Secretary for Policy Development and Research, U.S. Department of Housing and Urban Development – Episode #91 appeared first on Gov Innovator podcast. The post Exploring how outstanding public executives make tough decisions: An interview with Ronald Sanders, Vice President, Booz Allen Hamilton – Episode #90 appeared first on Gov Innovator podcast. The post Using the Balanced Scorecard in the public sector: An interview with Kenneth Thompson, Professor, Kellstadt Graduate School of Business, DePaul University – Episode #89 appeared first on Gov Innovator podcast. The post Implementing a turnaround strategy at DOL: An interview with Seth Harris, former Deputy Secretary, U.S. Department of Labor – Episode #88 appeared first on Gov Innovator podcast. The post Insights from the FTC about promoting employee engagement: An interview with David Robbins, Executive Director, Federal Trade Commission – Episode #87 appeared first on Gov Innovator podcast. The post Using Pay for Success to fund early-childhood programs: An interview with Janis Dubno, Voices for Utah Children – Episode #86 appeared first on Gov Innovator podcast. The post Closing the social-class achievement gap for first-generation college students: An interview with Nicole Stephens, Professor, Northwestern University – Episode #85 appeared first on Gov Innovator podcast. The post Using analytics to tackle tough agency challenges: An interview with Dean Silverman, former head of the IRS Office of Compliance Analytics – Episode #84 appeared first on Gov Innovator podcast. The post The importance of administrative data for learning what works in public policy: An interview with Raj Chetty, Professor, Harvard University – Episode #83 appeared first on Gov Innovator podcast. The post Cost-benefit analysis 101 for policymakers & public managers: An interview with Henry Levin, Professor, Columbia University – Episode #82 appeared first on Gov Innovator podcast. The post New York City’s VendorStat initiative for social services: An interview with Swati Desai, Senior Fellow, Rockefeller Institute of Government, State University of New York – Episode #81 appeared first on Gov Innovator podcast. The post The nation’s first Pay for Success initiative for early education: An interview with Ben McAdams, Mayor, Salt Lake County – Episode #80 appeared first on Gov Innovator podcast. The post New performance initiatives in Cincinnati city government: An interview with Chad Kenney, Chief Performance Officer, Office of Performance and Data Analytics – Episode #79 appeared first on Gov Innovator podcast. The post Improving public policy through behavioral economics: An interview with Raj Chetty, Professor, Harvard University – Episode #78 appeared first on Gov Innovator podcast. The post Insights for evidence-based grant making from the Teen Pregnancy Prevention Program: An interview with Evelyn Kappeler, Director of the Office of Adolescent Health, U.S. Department of Health and Human Services – Episode #77 appeared first on Gov Innovator podcast. The post Using Career Academies to help disadvantaged students: An interview with Jim Kemple, Executive Director, Research Alliance for New York City Schools – Episode #76 appeared first on Gov Innovator podcast. The post Evidence-based policies that improve early-life health and wellbeing: An interview with Janet Currie, Professor, Princeton University – Episode #75 appeared first on Gov Innovator podcast. The post Public sector innovation teams around the world: An interview with Jo Casebourne, Director of Public and Social Innovation, NESTA – Episode #74 appeared first on Gov Innovator podcast. The post Strategies to turn around a city government: An interview with Andy Kopplin, First Deputy Mayor and Chief Administrative Officer, City of New Orleans – Episode #73 appeared first on Gov Innovator podcast. The post Creating a results focused city government: An interview with Mayor Greg Fischer of Louisville, Kentucky – Episode #72 appeared first on Gov Innovator podcast. The post Improving education outcomes through innovative low-cost interventions, such as texting: An interview with Benjamin Castleman, Professor, University of Virginia – Episode #71 appeared first on Gov Innovator podcast. The post The federal evidence agenda & lessons for state/local leaders: An interview with Ron Haskins, Senior Fellow, The Brookings Institution – Episode #70 appeared first on Gov Innovator podcast.